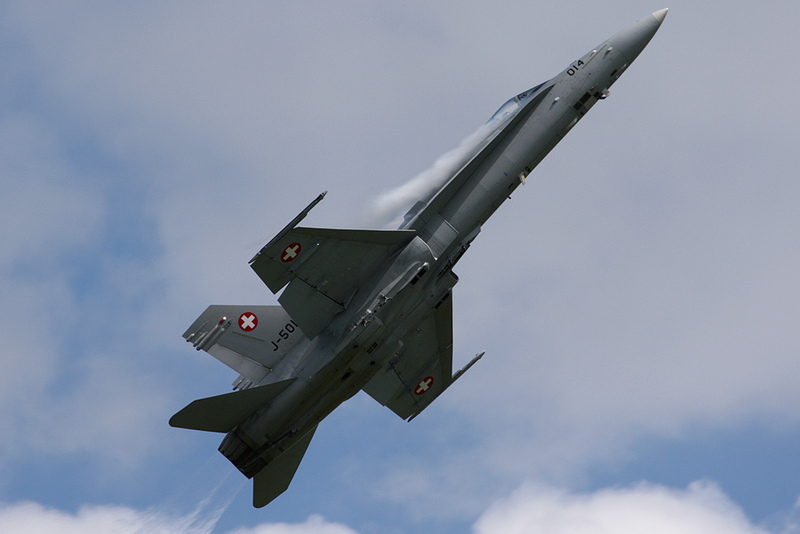 The 2012 UK Airshow Display Season should be remembered as the best of recent years. 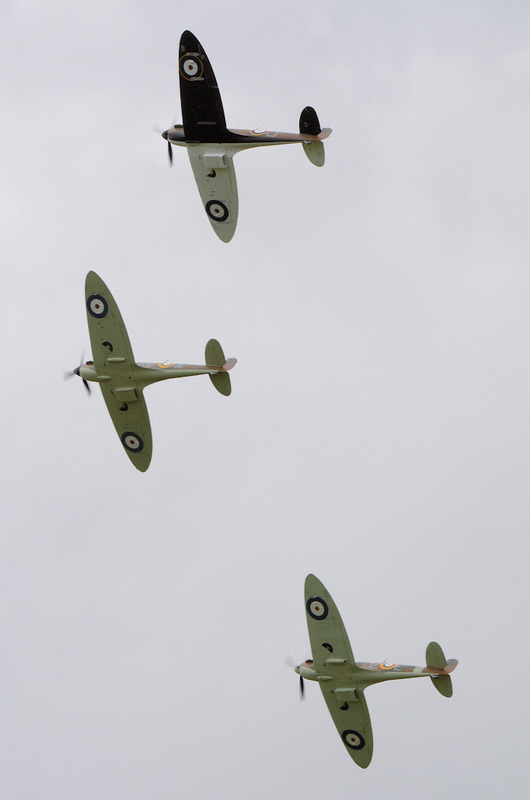 While the usual British weather tried its best to disrupt shows, the quality of the participants shone through. 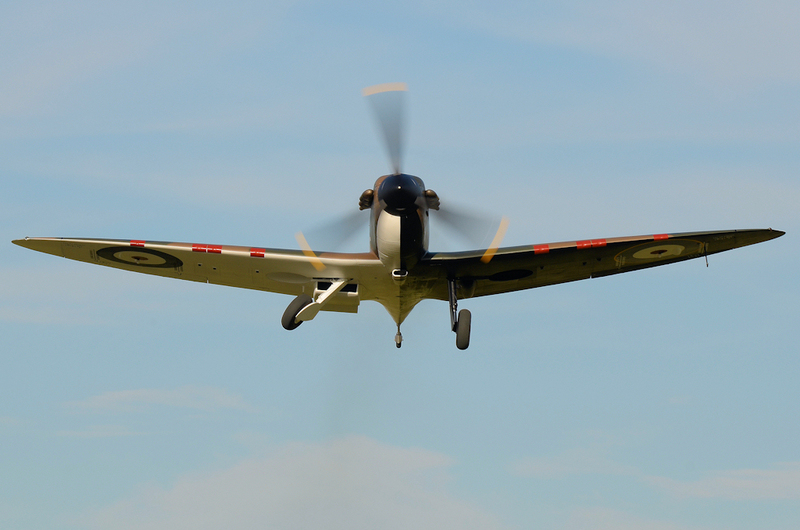 We saw three countries make their UK airshow débuts at Fairford - Columbia, Japan & South Korea - as well as the début displays of many new types, including The Fighter Collection's P-47G Thunderbolt 'Snafu', which sadly didn't make our top 10 due to it's display at Flying Legends leaving many rather underwhelmed. 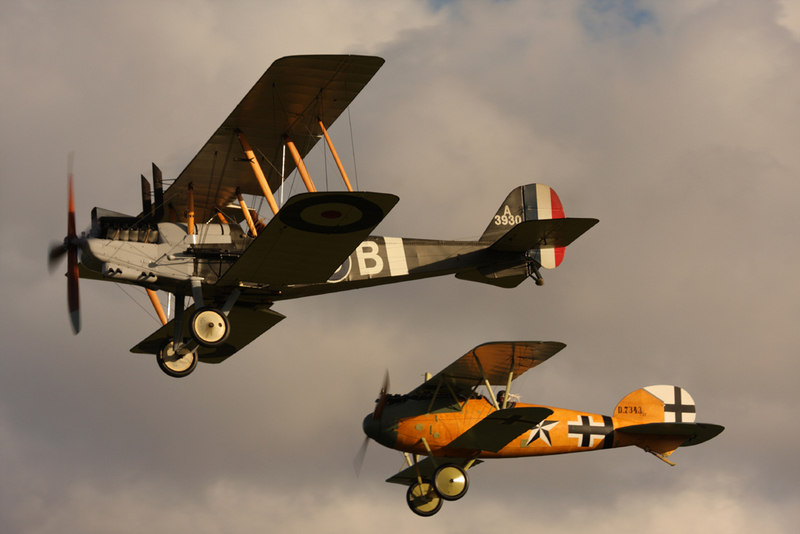 The warbird scene was further enhanced - albeit briefly - by the flying appearances of the Albatros and RE8 replicas which appeared at airshows at Old Warden and Duxford before taking up residence in the RAF Museum, Hendon. 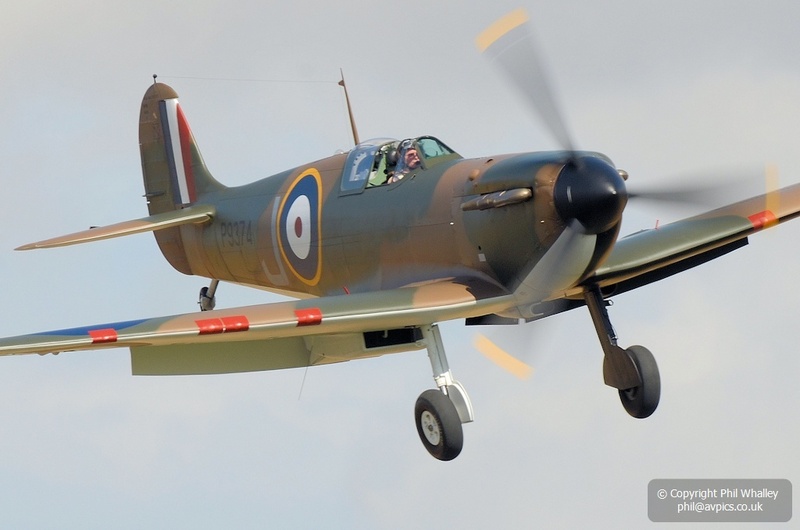 Shows at Cosford, Waddington and RIAT were regarded as the best examples hosted at each respective venue in recent years, providing iconic moments and historic appearances throughout the summer. 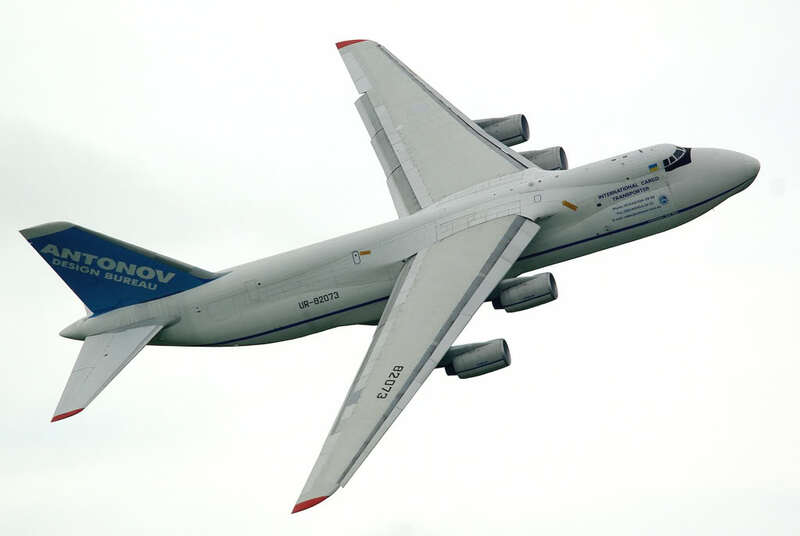 In fact there were so many star moments that cutting the list down to just 10 was a difficult task for the UKAR team! 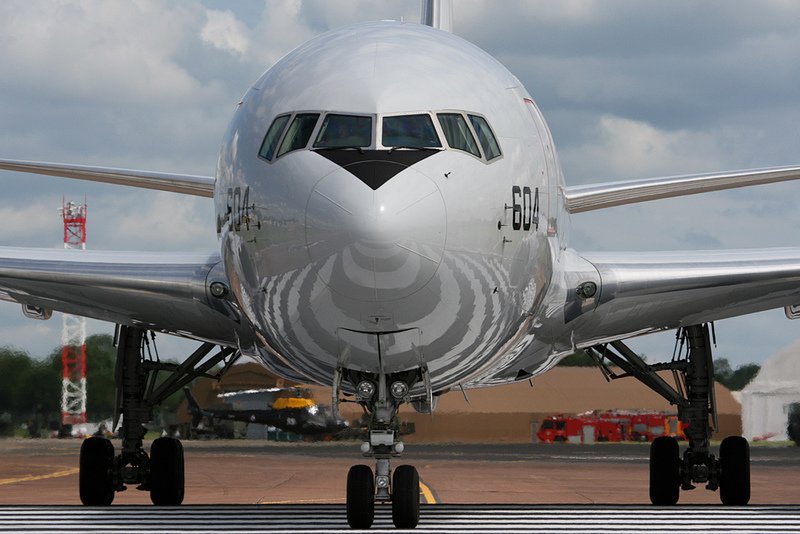 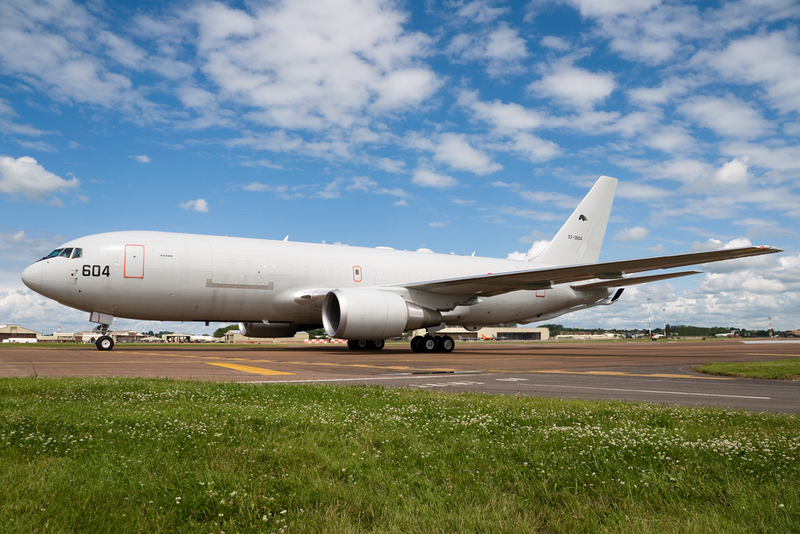 Other items that we feel deserve a mention include the static appearance of an Australian E-7A Wedgetail at Waddington, the Jaguar GR3 taxi run at Cosford, Jersey hosting the Viggen's first UK display and a rare flying display by Boeing, showcasing the 787 Dreamliner at Farnborough. 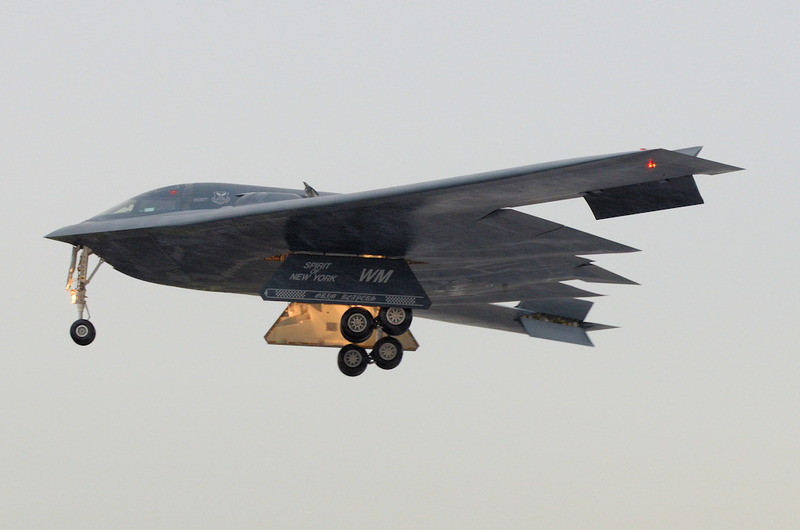 While this season was not as jinxed as 2011 seemed to be, it was sadly not without loss. 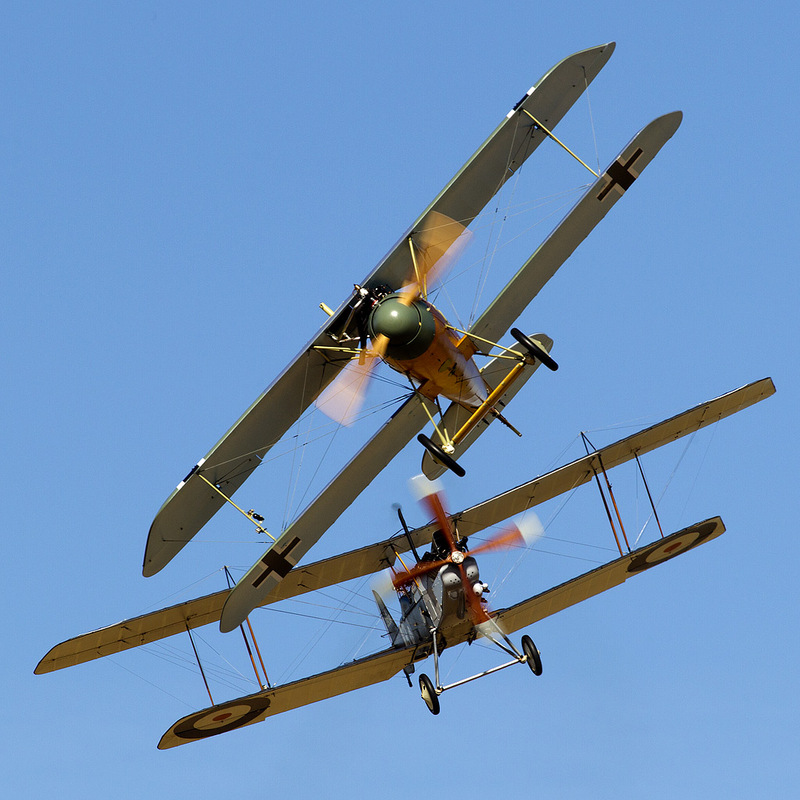 Most notable in July, veteran pilot Trevor Roche was killed in a crash prior to the Shuttleworth July Military Pageant Show and nearing the end of the year both Peter Eager & Don Bean passed away following illness. 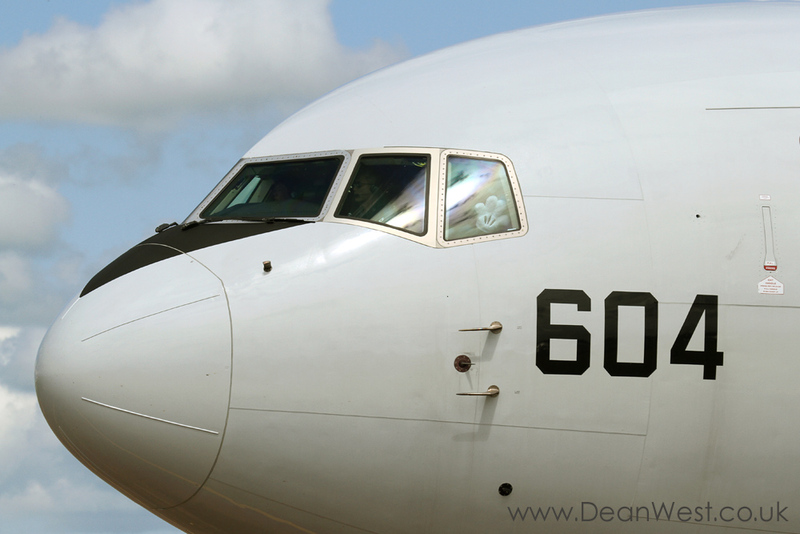 This really only scratches the surface of what was a memorable season. 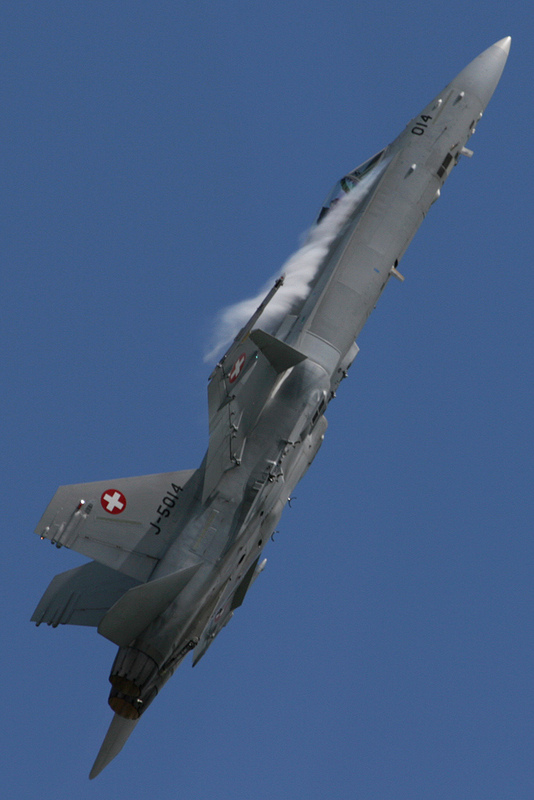 So, without further ado, the UK Airshow Review team presents our top ten moments from the 2012 display season! 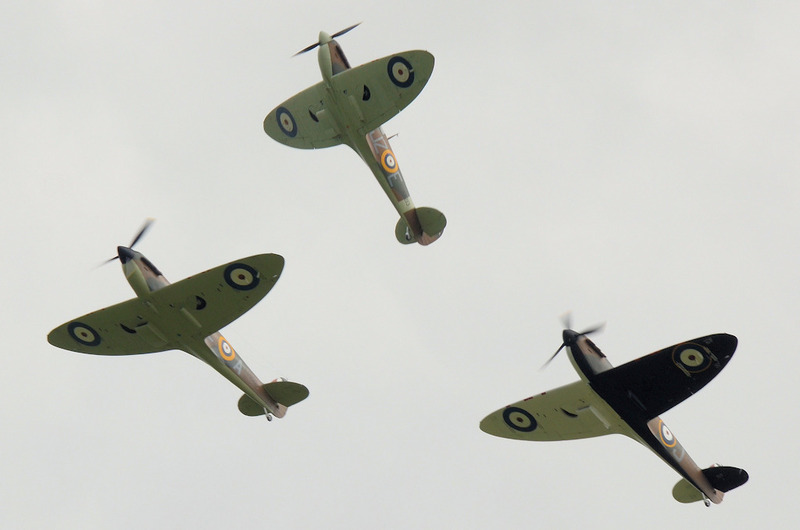 Not many years ago the thought of witnessing three Mark I Spitfires airworthy in the UK would have been merely a dream, yet in 2012 old-timer AR213 had two newly restored examples for company - and TFC's Flying Legends brought them together at Duxford to create a historical moment, not only for warbirds and airshows, but also in the story of the iconic fighter. 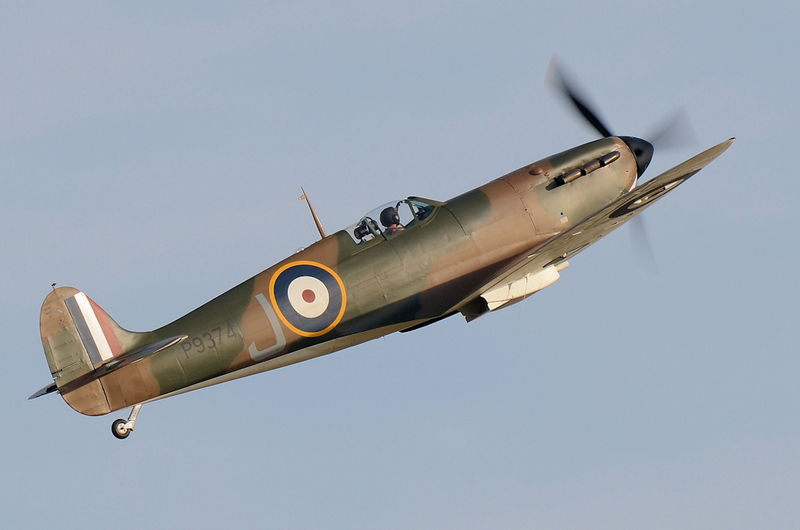 The Spitfire entered RAF service at Duxford in 1938 before playing a pivotal role in the Battle of Britain and the defence of the nation, and although AR213 was a late-build airframe and didn't see frontline service, the two ‘new' examples are a direct link to the great battles seen in the skies over southern England. 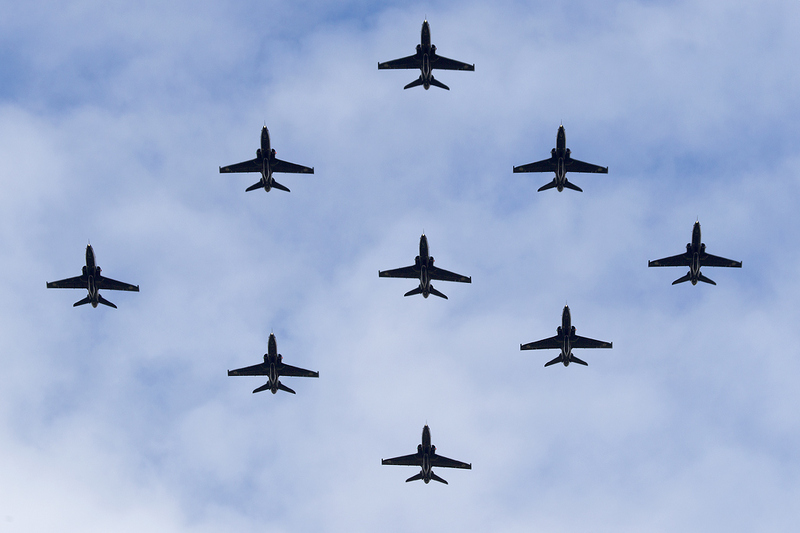 One of the highlights of the year was her Majesty Queen Elizabeth's Diamond Jubilee and to mark this a flypast of 27 RAF Hawks was flown in an E II R formation at this years RIAT at RAF Fairford. 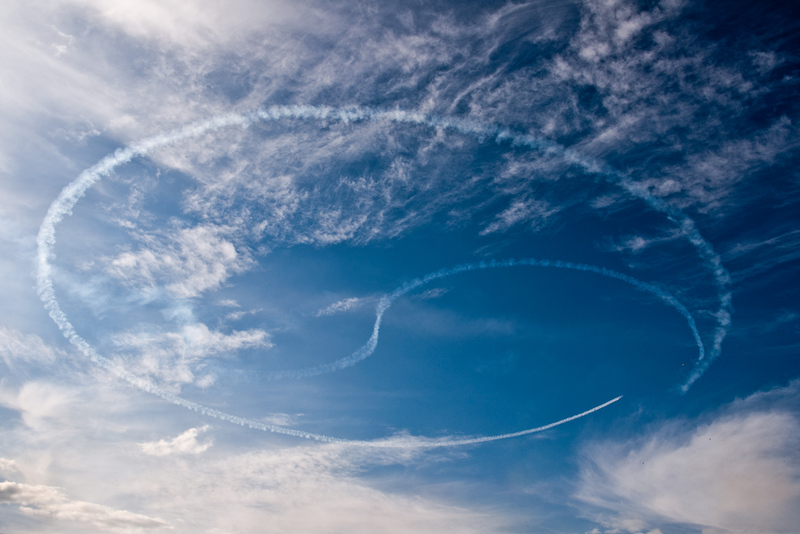 Due to the weather the aircraft only displayed on the Sunday, the cloud base and visibility being unsuitable for such a large formation on the Saturday. 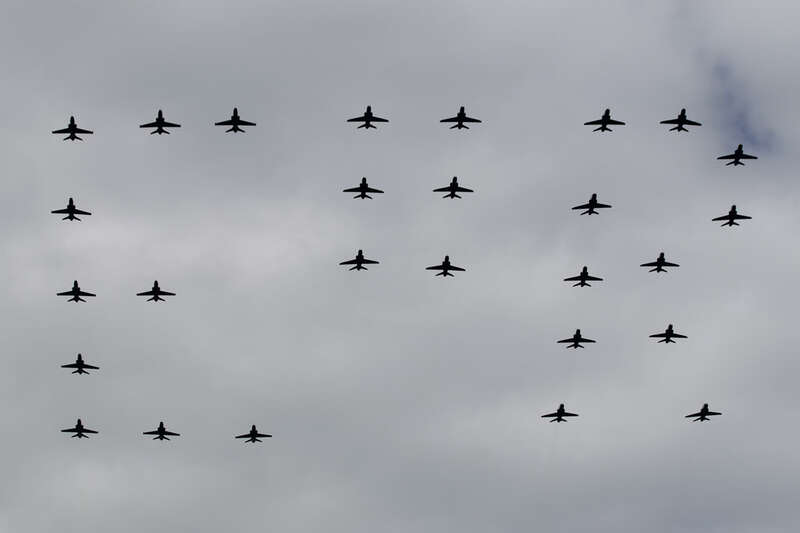 Saturday however did see a formation of nine of the new Hawk T2s from IV(R) Squadron which was a bonus for those attending on both days. 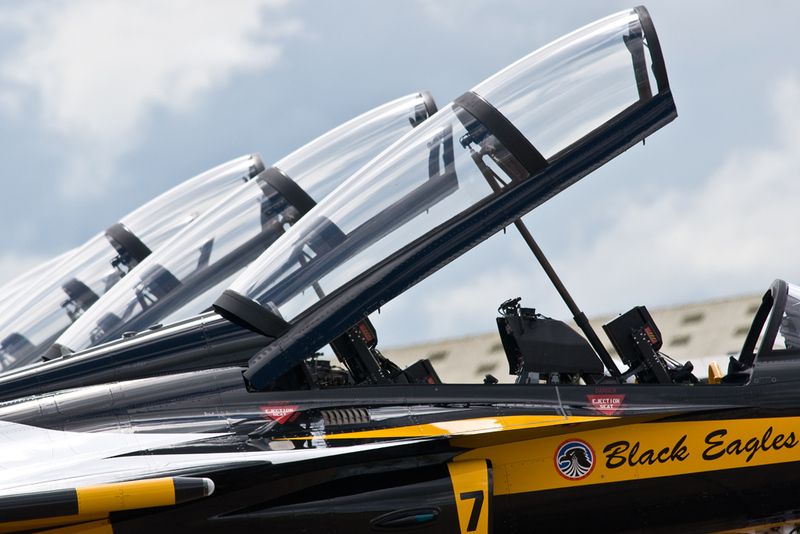 The sight of 27 Hawk aircraft is unlikely to be seen again due to the eventual withdrawal from service of the T1s from the training role. 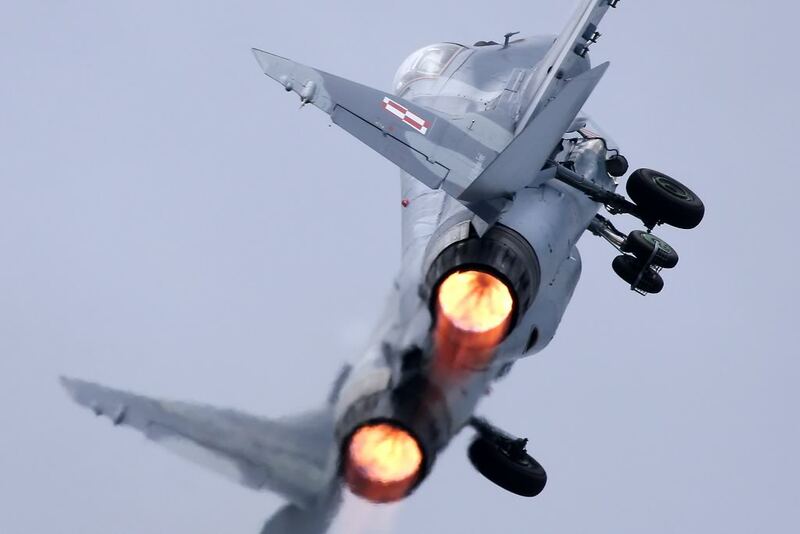 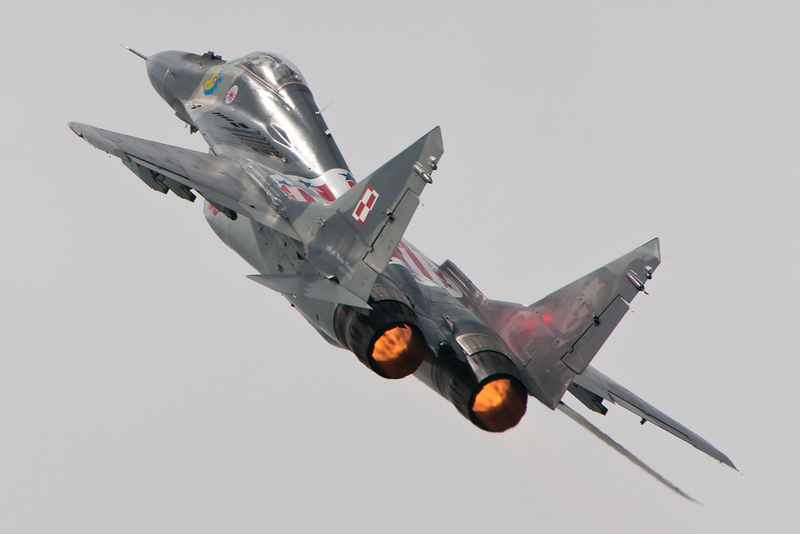 It has been a number of years since the Air Tattoo heralded a display MiG-29 'Fulcrum', so the much loved Cold War classic, operated by Poland, was always going to be a highlight for many enthusiasts. 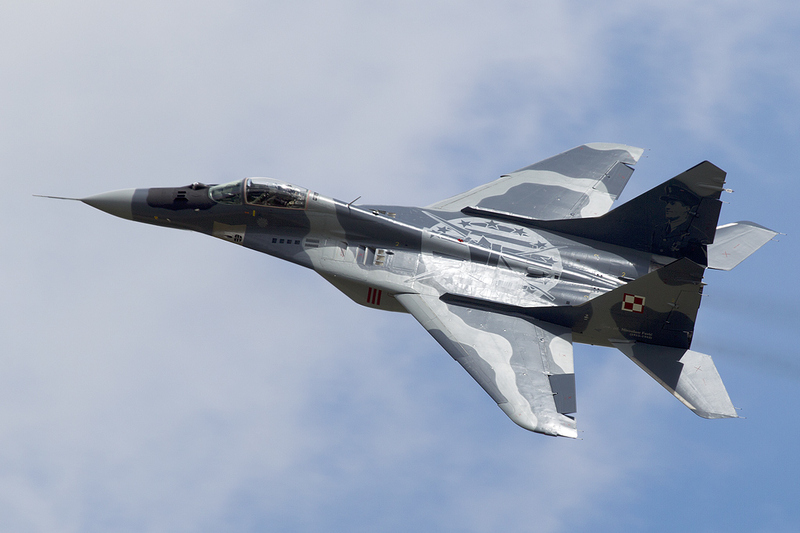 The Polish Air Force brought two examples of the MiG-29, both single seaters and adorned with special markings on the top of the fuselage as well as the inside of the tails depicting Polish pilots who fought during WW2. 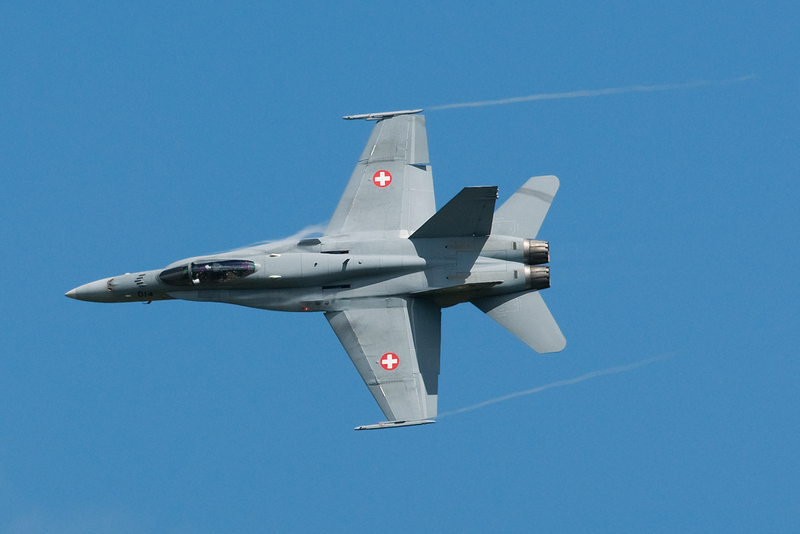 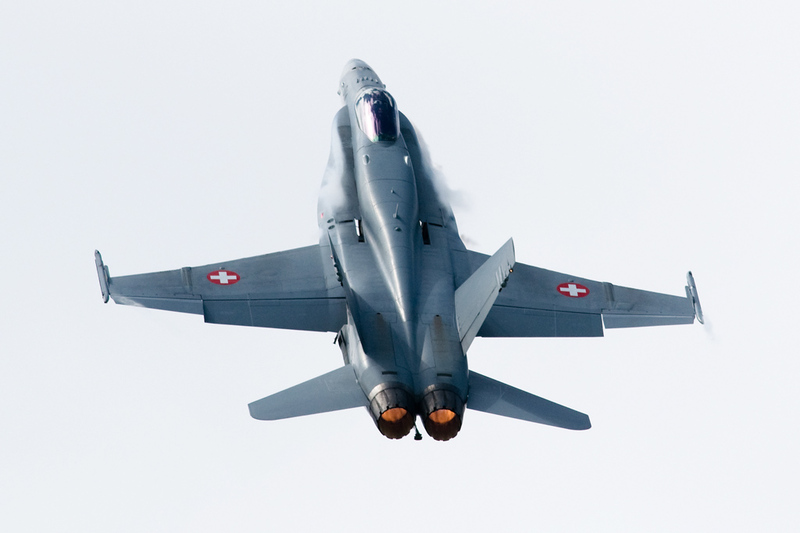 Bringing a taste of AXALP to Lincolnshire in 2012 was the stunning display by Captain Ralph "Deasy" Knittel of the Swiss Luftwaffe flying the F/A-18C Hornet. 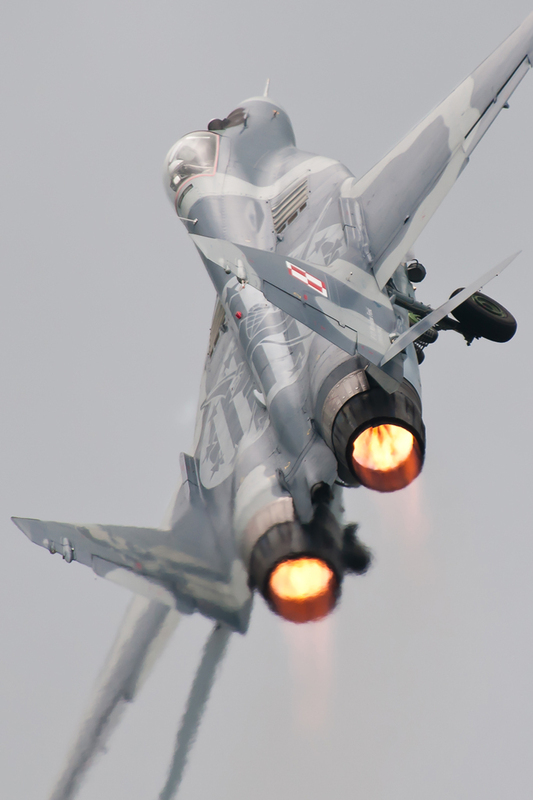 Performing at the RAF Waddington International Airshow 2012, the highly appreciative crowd witnessed a series of fast passes, knife edge turns and max power loops. 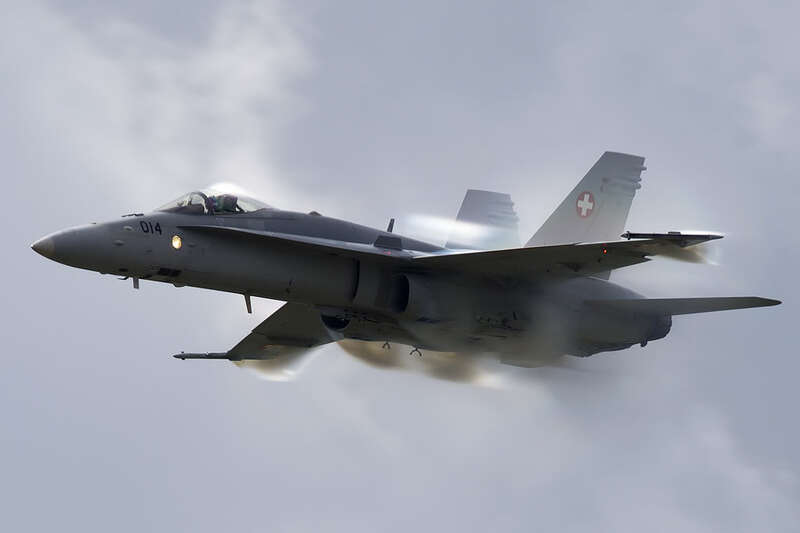 With the Hornet streaming vapour during every expertly executed manoeuvre, the display ticked all the boxes for an inspirational fast jet routine and was one of the best fighter displays seen in the UK in 2012. 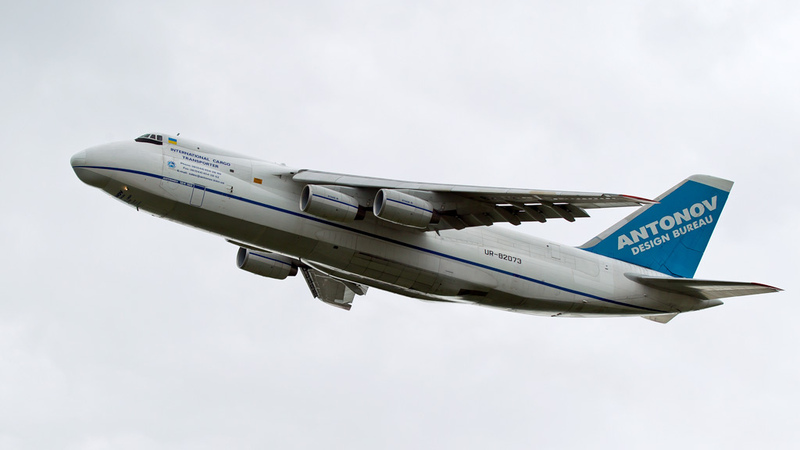 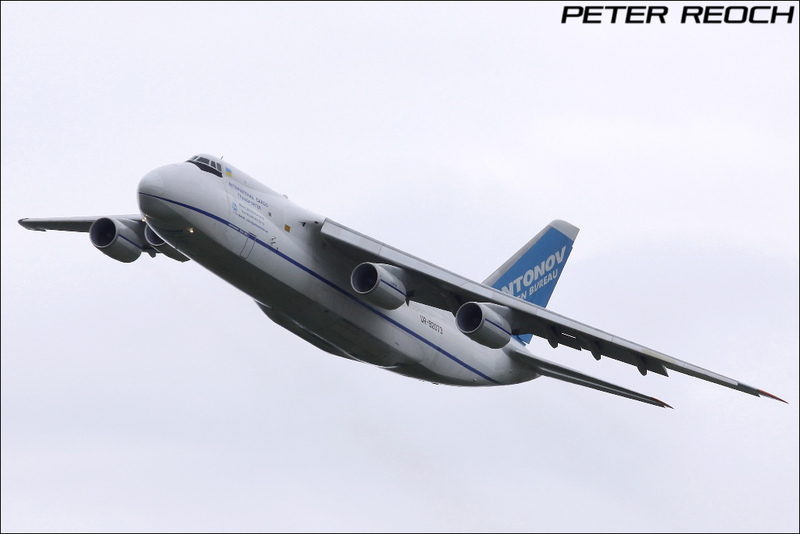 Many say that size doesn't matter, and it's how you use it that counts - well the An-124 impressed in both categories at Yeovilton Airshow this year! 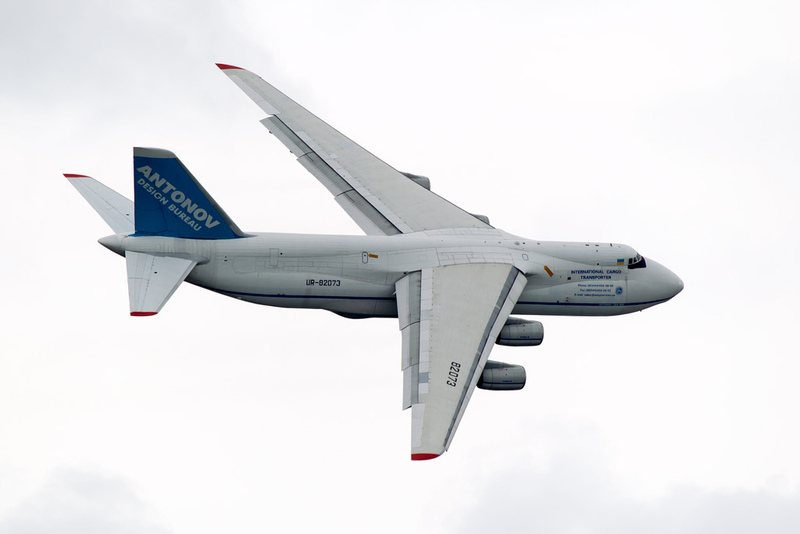 The largest performer at any UK Airshow in 2012, the Condor's performance at Yeovilton was only confirmed at a very late stage in the run up to the show, with the aircraft operating on a MOD charter flight from RAF Brize Norton. 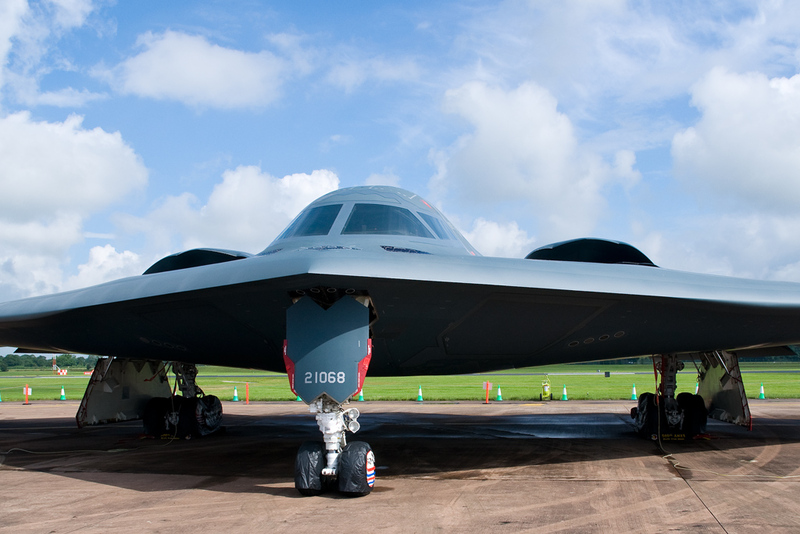 The type was last seen in the flying display at a UK airshow over two decades ago at Farnborough, so it's appearance at Yeovilton was very welcome. 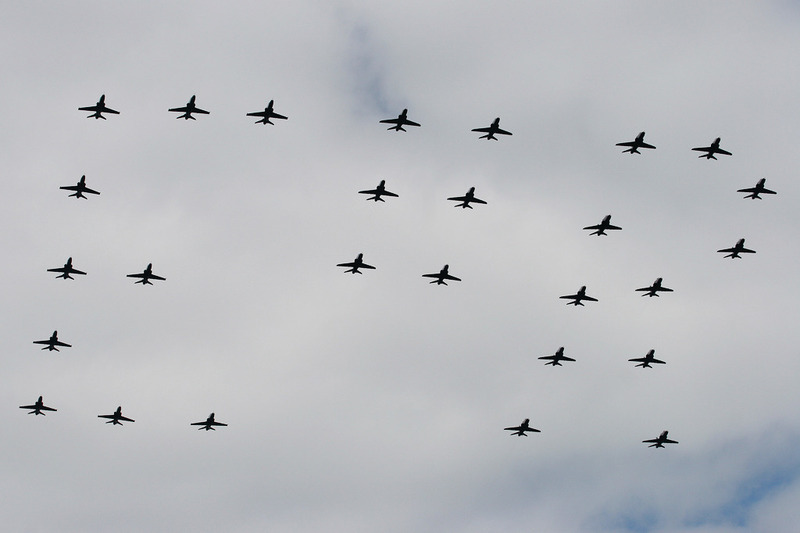 Synonymous with set piece formations, the Royal International Air Tattoo didn't disappoint. 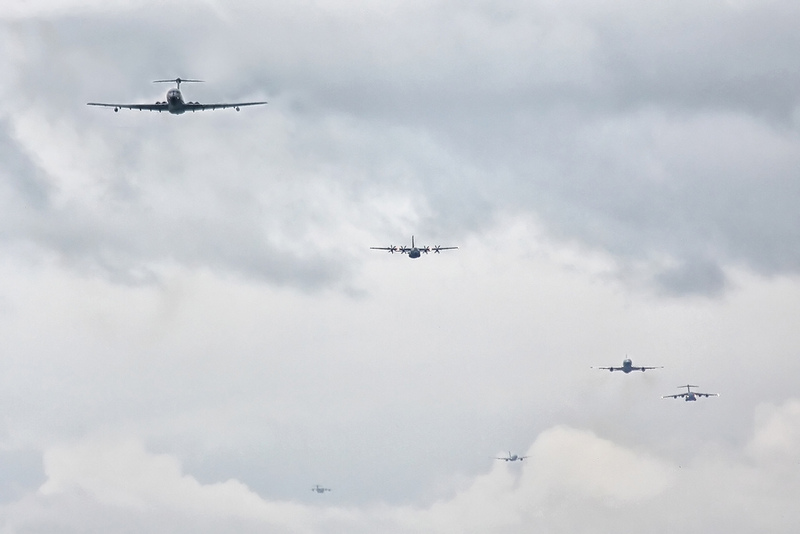 The organisers teamed up with the Royal Air Force, Air Tanker and Airbus to provide a formation flypast of RAF 'heavies'. 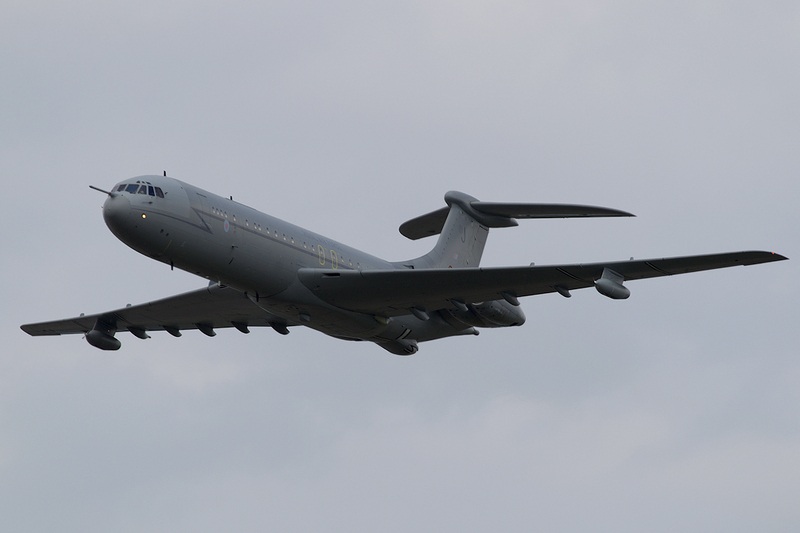 The formation was led by the venerable Vickers VC-10 which was greeted with great delight on the UKAR forums. 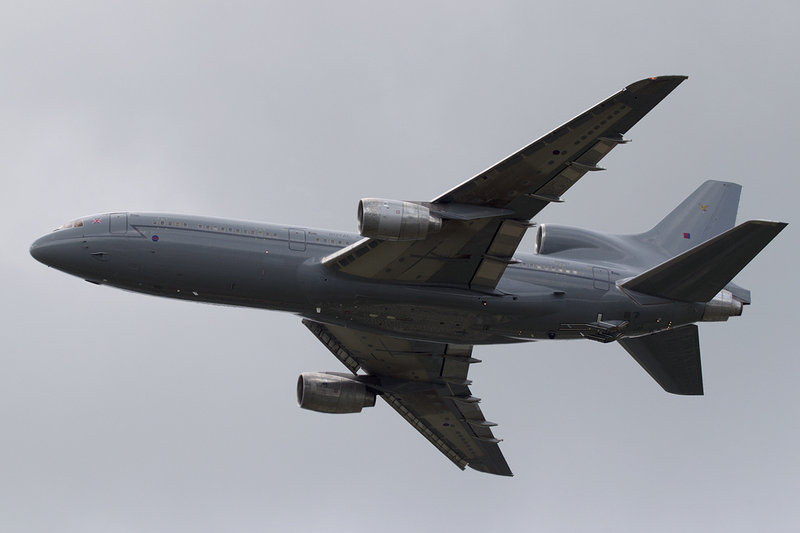 The type is in its last twelve months of service and the Air Tattoo gave the old girl a chance to steal the limelight one more time. 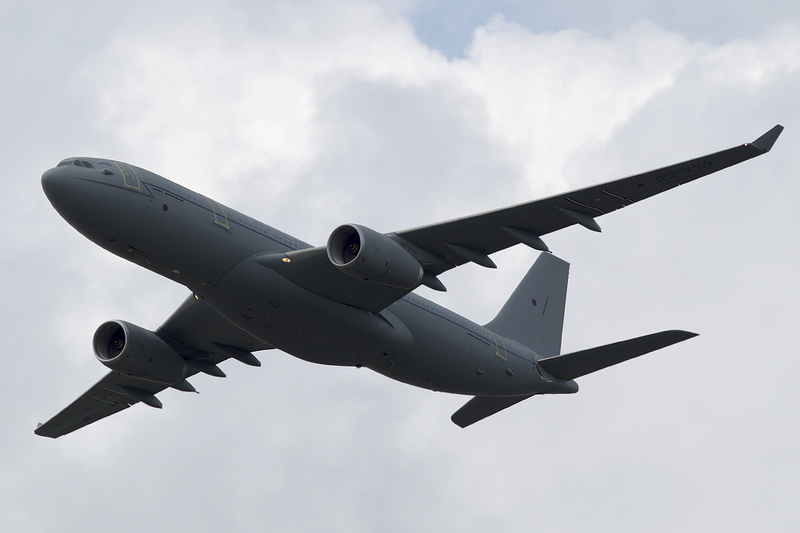 Closely following the VC-10 were a Hercules, Tristar and C-17 representing the current fleet of transport aircraft. 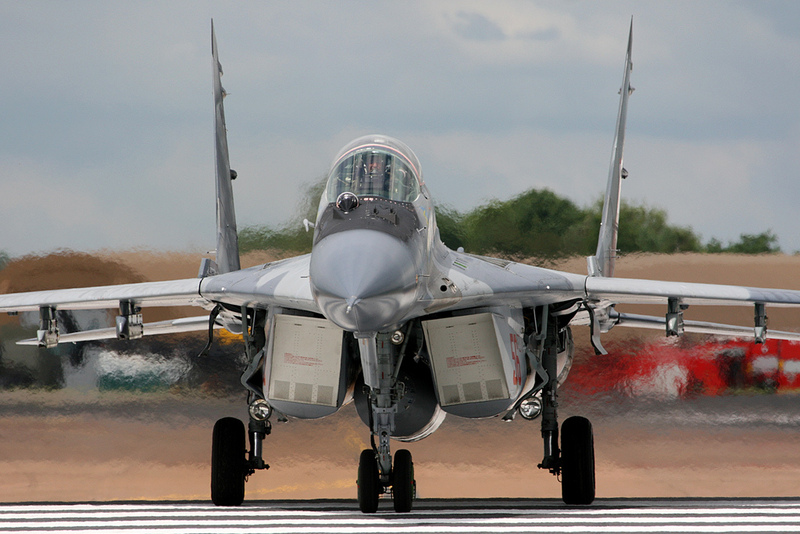 RIAT 2012 will be remembered as one of the best shows in recent memory. 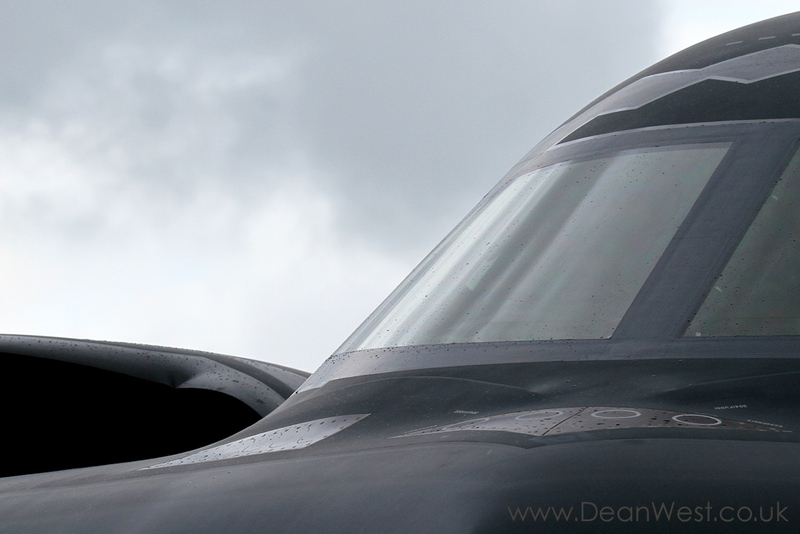 One of the major highlights was the appearance of a USAF Northrop Grumman B-2 Spirit on static display. 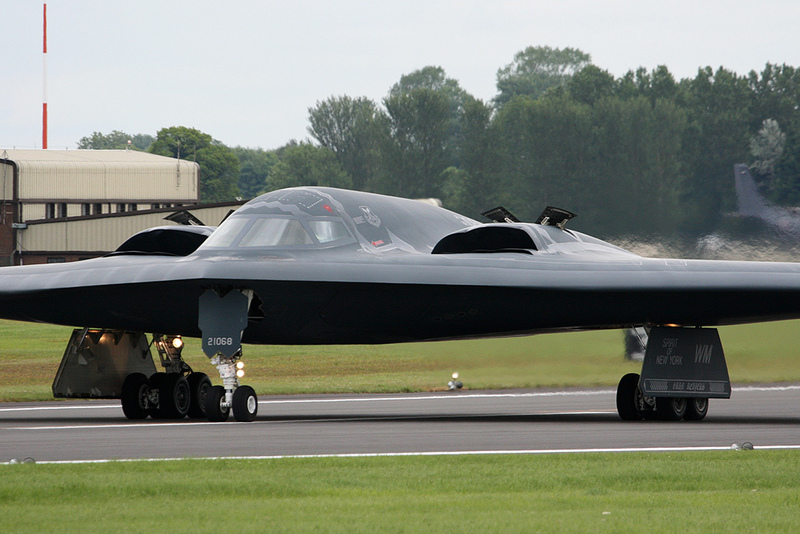 This was the first time a B-2 has been on the ground at a UK show since RAF Mildenhall's Air Fete in 2000. 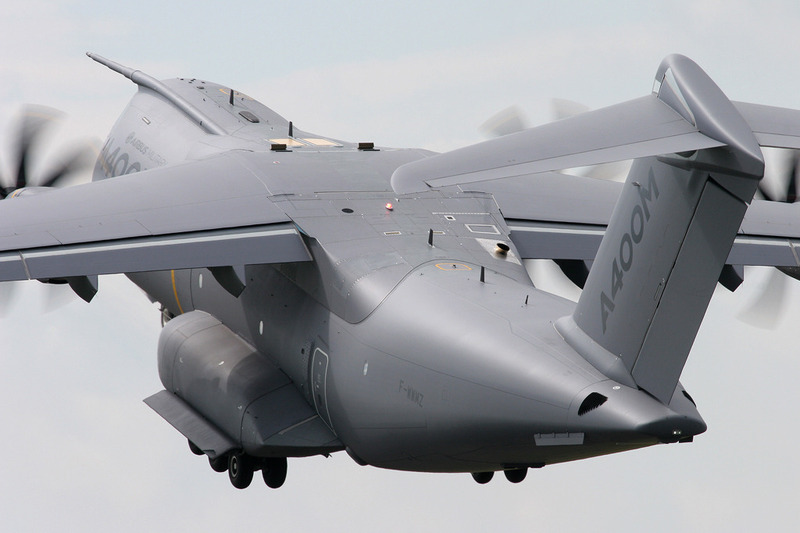 The aircraft certainly hasn't lost any of it's magic or mystique, with the type proving to be the must-see static attraction at the show. 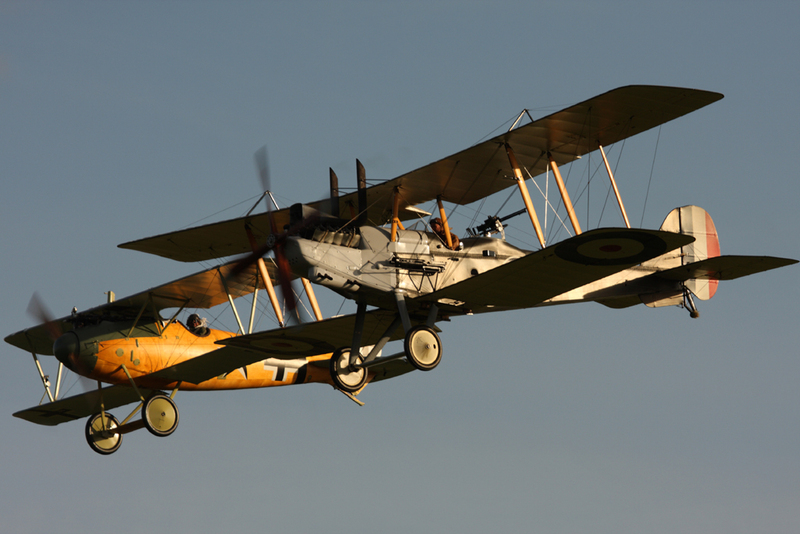 Manufactured by New Zealand based The Vintage Aviator Ltd (TVAL) for the RAF Museum and bound for eventual display in Hendon, the Albatros DVa and RE8 were a very pleasant surprise for the historic aviation enthusiast community. 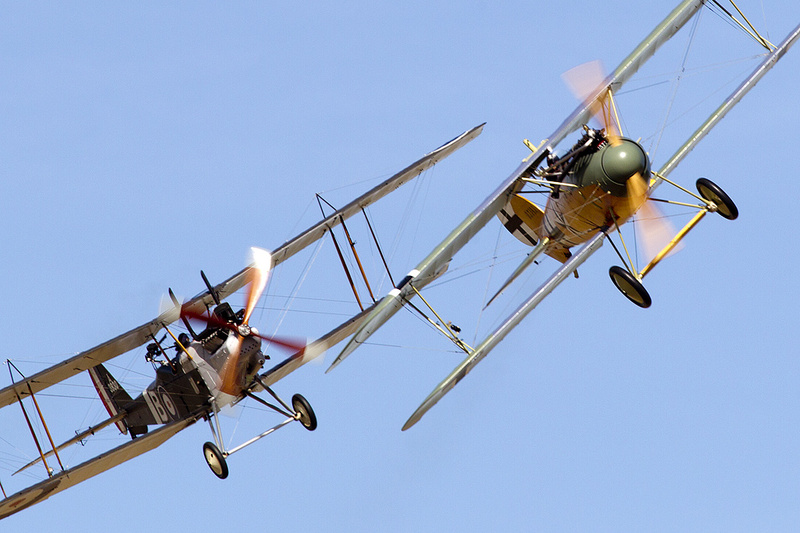 In the hands of American aviation legend Kermit Weeks and TVAL Chief Pilot Gene DeMarco, the pair of First World War airworthy reproductions made their debut at the Shuttleworth Pageant and then seven days later at Duxford's September air show. 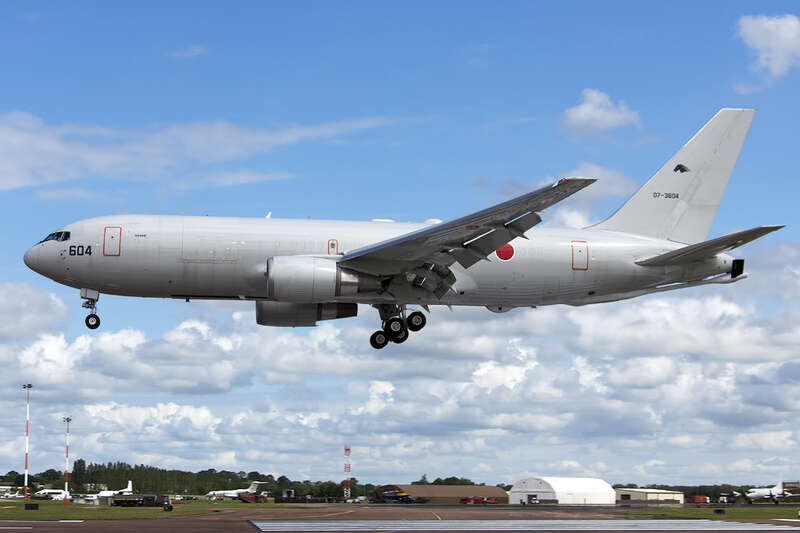 It all got quite exciting when rumours started to appear regarding Japanese participation at RIAT. 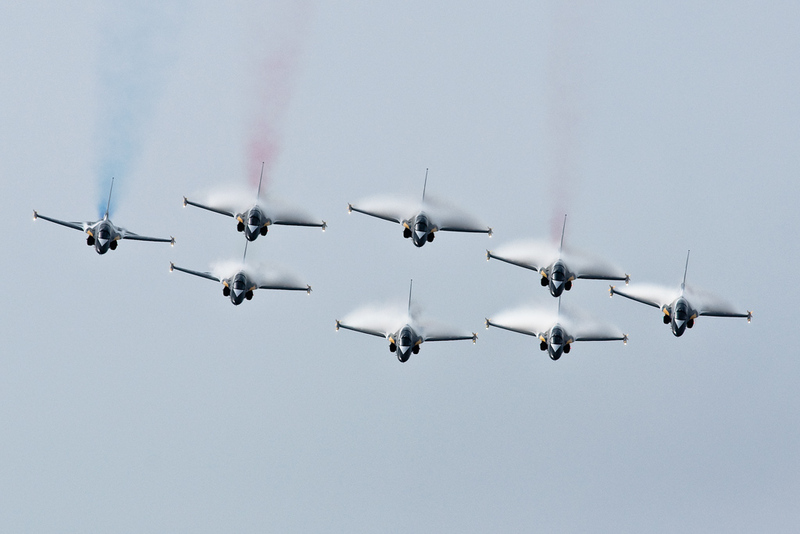 Many people dismissed such rumours and it's not exactly surprising that they did because the Japanese have only participated in a foreign airshow one back in 1997 when the Blue Impulse and their T-4s displayed for the USAF's 50th anniversary at Nellis Airshow. 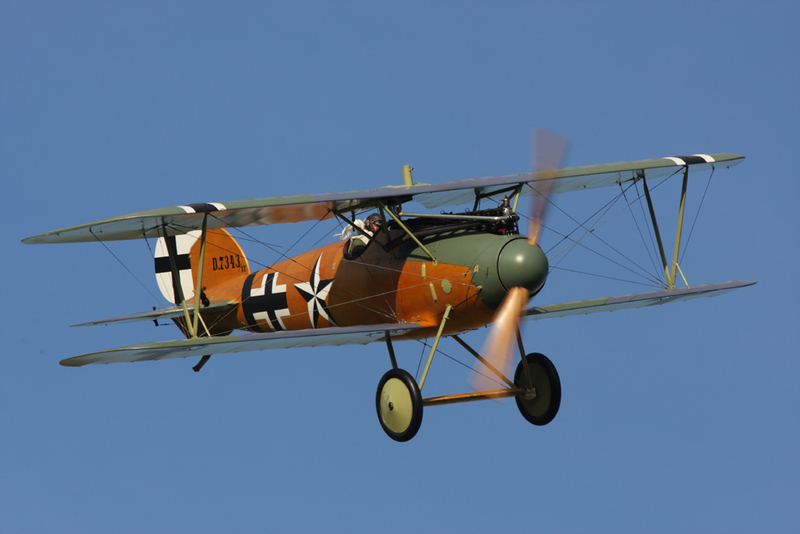 So this was also the first appearance of a frontline type. 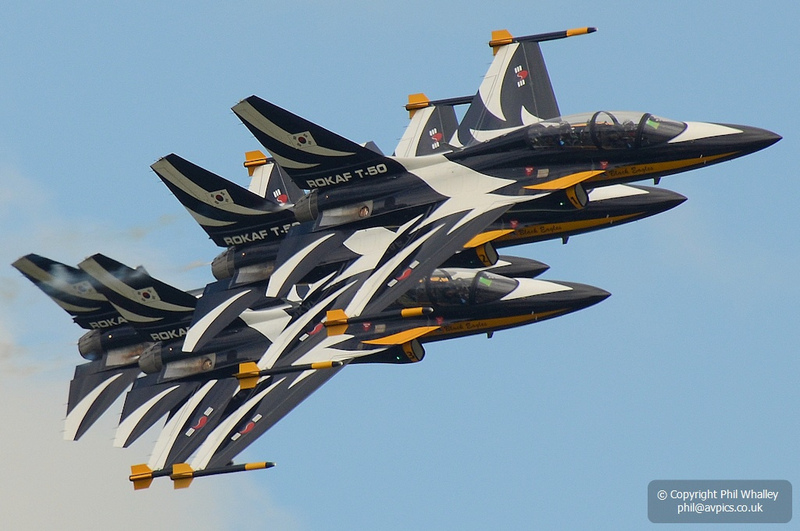 When RIAT announced that the Republic Of Korea Air Force display team, the "Black Eagles", flying eight Korean Air Industries (KAI) T-50B Golden Eagle trainer aircraft, would be appearing at the show there was genuine excitement on the UKAR forum. 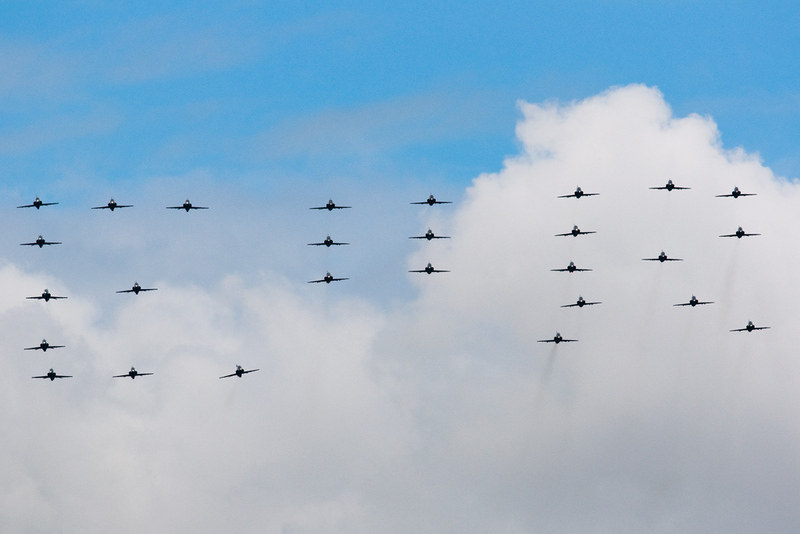 Despite that excitement nobody was quite sure what their display would be like. 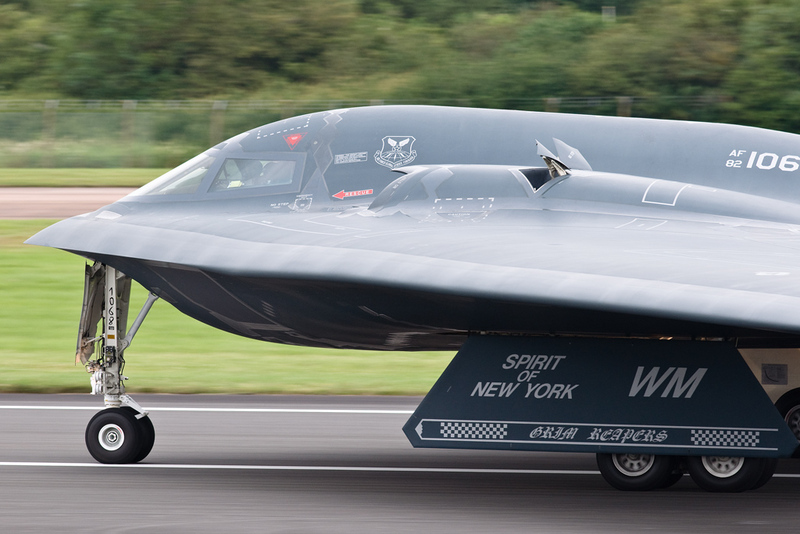 As it transpired the team made their UK debut at the RAF Waddington airshow where they thrilled the crowd with their display.